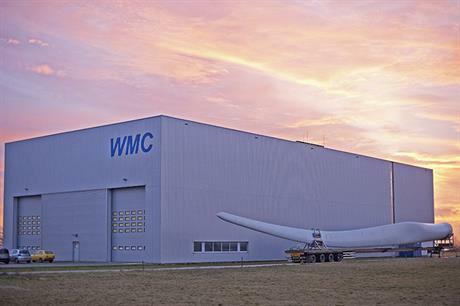 NETHERLANDS: GE's blade subsidiary LM Wind Power has acquired the WMC test facility in Wieringerwerf in the north of the country. This article was first published on 18 July 2018 when the acquisition was announced, and updated on 8 August when the transaction was completed. LM plans to carry out rotor hub testing for new GE turbines as well as offering tests for blades and digital tools, and research for the wider industry. It also plans to retain WMC’s 23 staff at Wieringerwerf and expand and further develop the facility, it added. According to its website, WMC’s test facility has three blade test lanes, each with its own test rig. It currently runs blade test programmes for blades up to 60 metres. In March, GE announced the Haliade-X, a 12MW turbine with 107-metre long blades. In September 2017, it unveiled a 4.8MW turbine with 77-metre blades. LM Wind Power has its global management office in Schiphol, about 75 kilometres south of Wieringerwerf. Its acquisition by GE was completed in April 2017.